Unfragranced soap for Food Service area use. 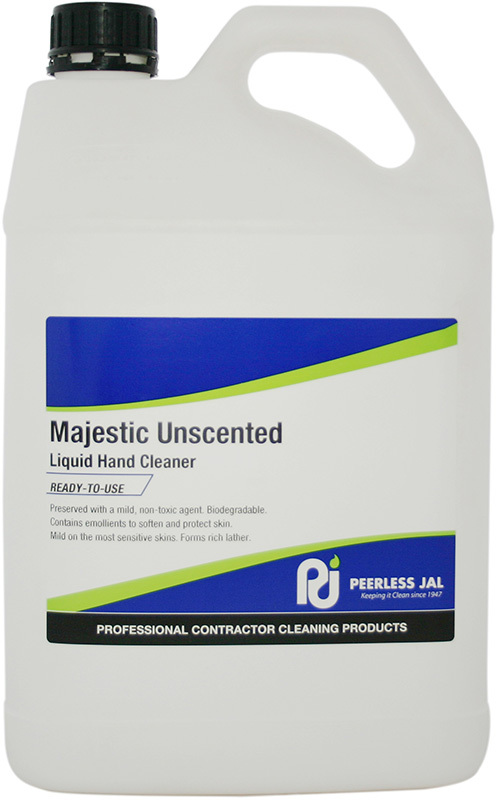 Majestic Unscented is a liquid hand soap with no perfume, a highly concentrated hand cleaner and yet mild on the most sensitive skins. It will clean grease, dirt and grime leaving your hands soft, germ free and fresh clean. It is pH balanced to match your skins pH, forms a rich lather, contains emollients to soften the skin and does not contain formaldehyde. This liquid toilet soap Ideally suited for use in liquid soap dispensers.